LXXVIII, 732 p., 116 ill., 15,3 x 21,0 cm. The ›Wienerische Tugend-Spiegel‹ of 1687 develops a pedagogically oriented doctrine of virtue against the backdrop of the Turkish wars that is clothed in a description of the fortifications of Vienna. 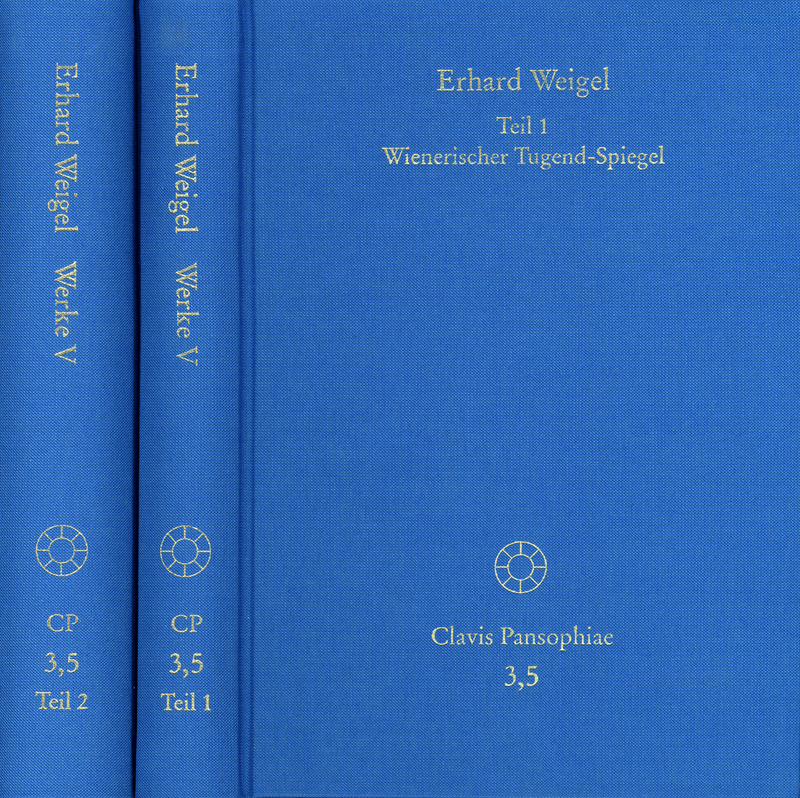 It also includes an ›Aretologistica‹ that contains in its first part an epitome of Weigels mathematical philosophy titled as »general theory of countable and measurable things« and an ethics that conceives moral action and virtue as a result of computation. The didactic in the second part sees in mathematical teaching the key to a cultivation of the will and education to virtue. It was put into practise by a famous school-experiment which is stated in a contemporary report included in the work.